Professor Melanie Shaw and panelists Tracey Lincoln, Mike Gauyo, Vanessa Baden and Nina Gloster discuss the current status of black writers and black women in TV and film. Photos by David J. Hawkins. Four students smile for a photo with panelist Mike Gauyo. Photos by David J. Hawkins. Students smile for a photo with Theresa White, department chair of the Africana Studies Department. Photos by David J. Hawkins. In Hollywood, where black writers make up less than five percent of the writers in writers’ rooms, many black characters are still being penned by white writers. This lack of inclusivity has created a false narrative and misleading representation of black people portrayed on film and TV – with many black actors playing minor roles and one-dimensional characters that perpetuate a narrative that historically portrays blacks on screen as aggressive, violent and hyper-sexualized. On Feb. 13, black writers and producers — veterans of shows such as “Atlanta,” “Insecure,” “Ozark” and “Black Monday” — joined a panel discussion sponsored by the California State University, Northridge Department of Africana Studies. 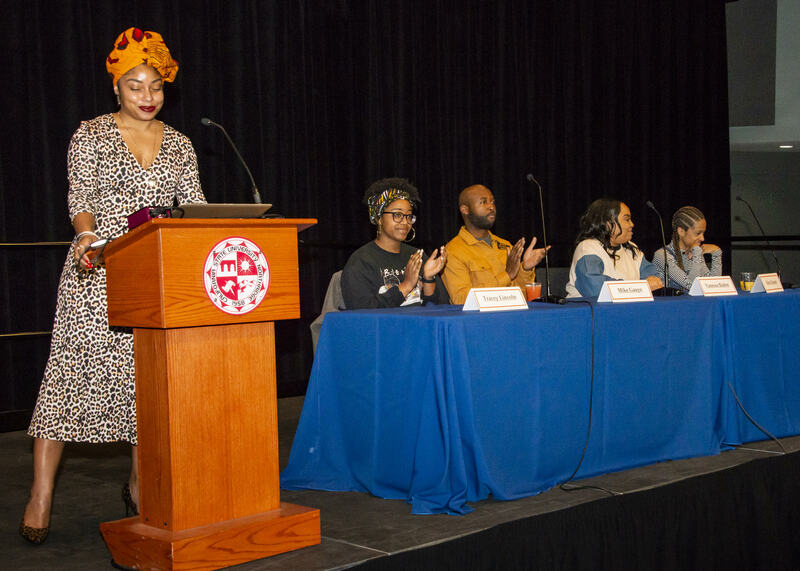 The panel, about how black writers and black women are being represented in film and television today, was part of a series of events in celebration of Black History Month and the department’s golden anniversary. The panel included prominent writers in the industry such as Vanessa Baden, a staff writer and lead actress on the TV show “Giants,” ​as well as a staff writer for Netflix’s “Ozark”; Nina Gloster, a current staff writer for Fox Networks who previously worked as a writers’ assistant on Fox’s hit show “STAR”; Syreeta Singleton, a comedy writer best known for her work on HBO’s “Insecure” and Showtime’s “Black Monday”; Tracey Lincoln, producer, social media for FX Networks; and Mike Gauyo, a staff writer on an unreleased Netflix series. Moderated by professor Melanie Shaw, a lecturer in the Africana studies department, the event began with a short film created by Africana studies students and Shaw in order to introduce the panelists to CSUN. The program was held at CSUN’s University Student Union. 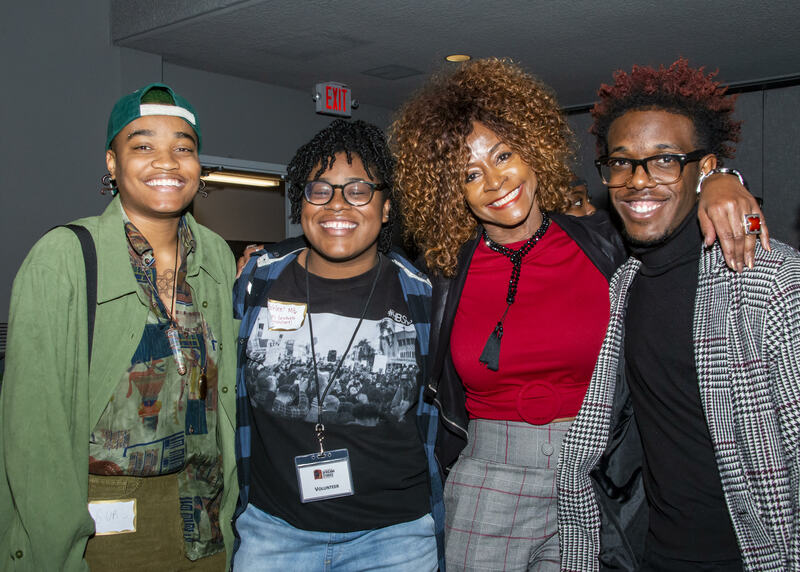 The short film included cameos by CSUN students, who discussed their experience studying Africana studies at the university, as well as their favorite TV shows and their thoughts on the portrayal and roles of black women on the small and large screens. 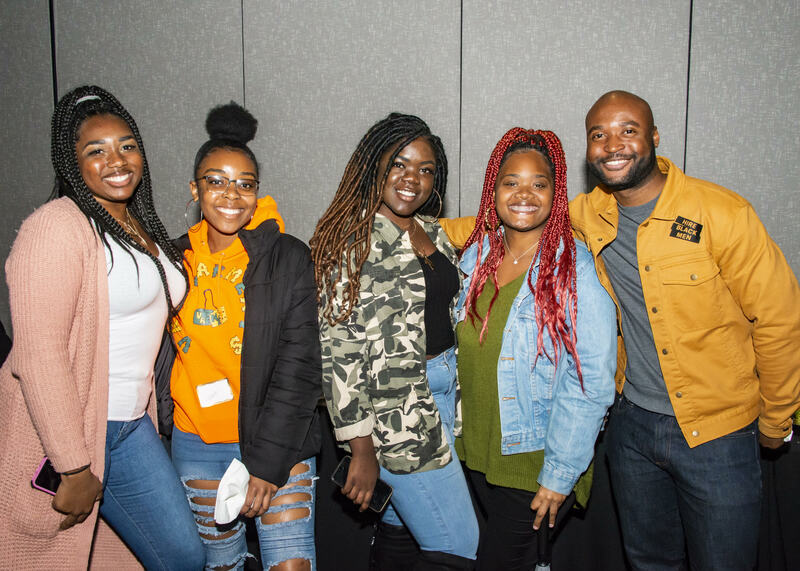 Africana studies students in the film emphasized that the issues black women must cope with are vastly different from those of their white counterparts. “Black women are often portrayed negatively as either angry, or as being promiscuous or sexually available,” Kyla Owens-Woods noted. “We need to see more black women in lead roles. We often see black women in minor roles, whereas white women often get the lead role, which is much more complex,” said Olani LaBeaud. Regions typically known for their diversity, such as Hollywood, Atlanta and New York City – where most of the entertainment industry thrives – depict a different scene of diversity amongst writers who create the stories we see on screen that is far from representative. This idea of restructuring film and TV narratives to provide more honest and positive views of black people is crucial — and doing it through the lens of black writers is where it all begins, the panelists said. This is especially true when it comes to Hollywood, the industry that sits in CSUN’s backyard — and employs thousands of Matador alumni in front of and behind the camera. “Our foundation in Hollywood has been built on a lot of false narratives about what we do and have done, which have historically been misrepresented by white people,” Lincoln said. The panelists and other black writers have been working hard to reshape the stories seen in TV and film by providing positive representations of themselves, their brothers, their neighbors, their sisters — representations that, they argued in the panel, only black writers can authentically create. “When we present a character or a world that doesn’t gel with the mainstream, we are in effect creating our own voice by showing the mainstream our real, authentic selves — and what is important to us,” Baden said. In more recent years, that lens has expanded. The panelists emphasized that it is crucial for black writers to claim their seat at the table in Hollywood and write shows that speak to who they are and the world they experience. When giving advice to the students and aspiring writers at the event, Gloster emphasized the importance of individuality and creating stories that are bold, personal and unique. “Stick to your voice because the world needs it,” said Gloster. The panelists also made it clear that claiming a seat at the metaphorical table doesn’t come without a fight — especially in a field dominated by white men. In order to improve black representation on TV and in film, the panelists shared some goals they had for their community and culture as writers, to expand the narratives about black identities. The panelists noted that while the industry is beginning to be more inclusive, the black community and the writers’ world still need to be brought closer together.